For theatregoers, food lovers, or even people just looking for a night out on the town, there’s no better place in San Jose to find great food at a reasonable rate than the streets around San Pedro Square. Louisiana Bistro, located a few yards away from affordable parking (which they validate), has a big menu of delicious Cajun food, most of which is priced at $15 or less. The first thing you’ll notice upon opening the menu is the range of appetizers. My recommendation here is the chicken wings ($9.25), which are crisp but have a lot of tender meat inside. The hot sauce on the side is fruity and aromatic, with a powerful kick that comes in later than hot sauces served at other wing establishments. They are bone-in, so those uninterested in that might try the Dixie Chicken Tenders ($9.50) instead. Don’t forget that Louisiana Bistro serves mint juleps! The po’boy, a signature sandwich in Cajun cuisine, gets an entire section of the menu to itself. Served with a sweet but not cloying Cajun aioli on soft bread that doesn’t interfere with the texture of the meat, these sandwiches are a great choice for diners looking for a fun, casual option. The catfish po’boy ($12.95) can be ordered blackened or fried; my suggestion is to order it blackened, as the flavor of the spices and tender texture of the fish compliments the rest of the sandwich. Louisiana Bistro’s other entrees include a big bowl of jambalaya ($9.95 for a small bowl, $13.95 for a large one) that, demonstrating the commitment of the restaurant to New Orleans authenticity, comes with two kinds of hot sauce on the side. There are a number of proteins that can be served blackened or fried, like their Big Easy Chicken ($13.95); these come with two sides, which are possibly the best items offered by the restaurant. Go for the sweet yams, which combine the fluffy texture of mashed potatoes with a complex, almost addicting flavor. When it comes to desserts, you can’t ignore the Café du Monde Beignets ($6.00). These donut-like pastries are different at every restaurant; Louisiana Bistro’s are big and light. However, like all beignets, they are made for dipping, so dip away in either the chocolate or caramel sauce provided (I prefer the caramel sauce). With so many excellent dining options in and around San Pedro Square, it can be difficult to choose. 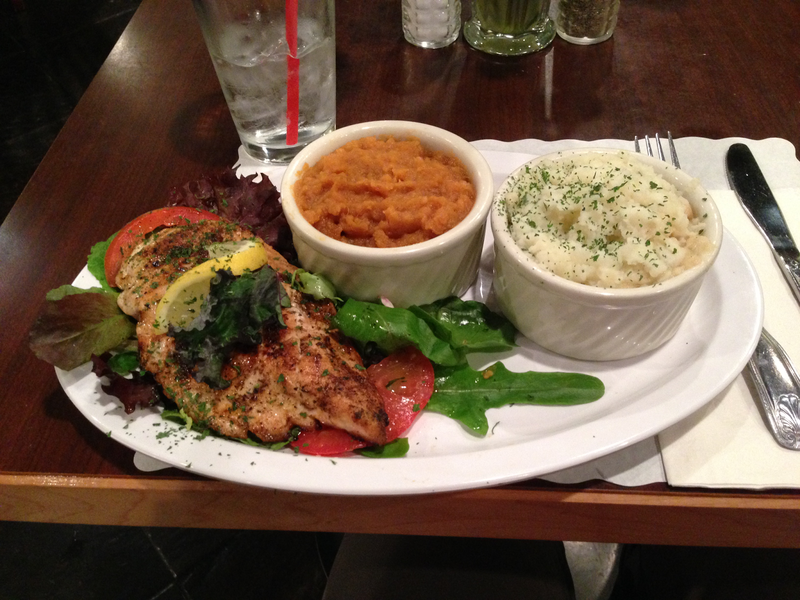 However, for great Cajun food, great service, and low prices, Louisiana Bistro stands out.